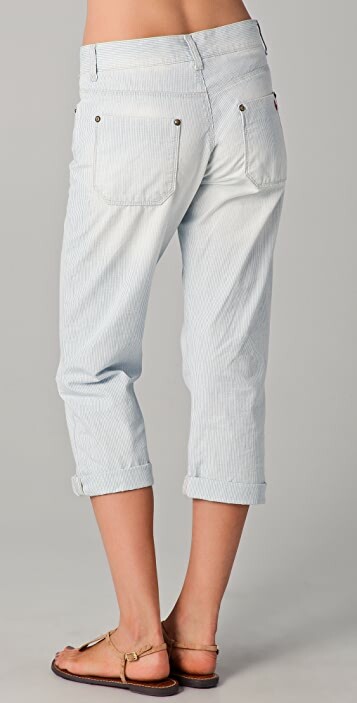 These striped, cropped jeans feature 5-pocket styling and a button fly. Moderate distressing. * 9" rise. 26" inseam. THE BEST LONDON BOY EVER!!! Great pants!!! Love it !!! 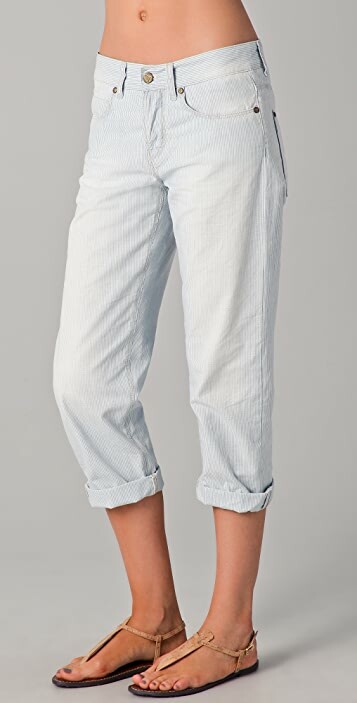 These are soooo comfortable and light (in weight as well as color)! For the first time ever after many orders from Shopbop, I was very disappointed with the condition that I received these jeans in. They were screwed up in a paper bag and looked like they'd just been returned by another customer. However, that aside, I also found that these were much smaller than expected, so I had to return them. Having said that they were nice and lightweight for summer so if they'd fitted I would have kept them. Seems they would fit better on someone who is slimmer in hips and behind. I felt that they run small and just didn't like how they looked on me. Returned. These are very cute and comfy. I don't like fitted pants and these have a nice amount of room to live in. 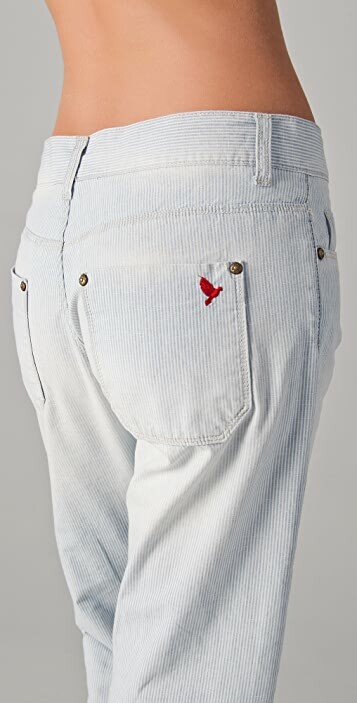 The fabric is soft and light weight, so these will be perfect for casual wear this spring.